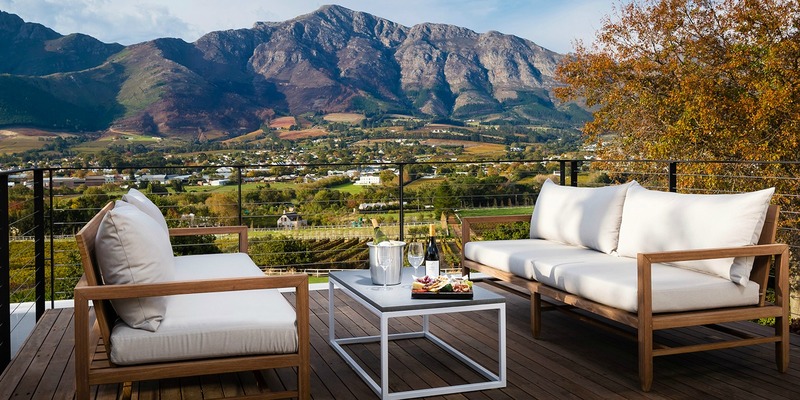 Is the Mont Rochelle Manor House an Impressive Mountainside Retreat? 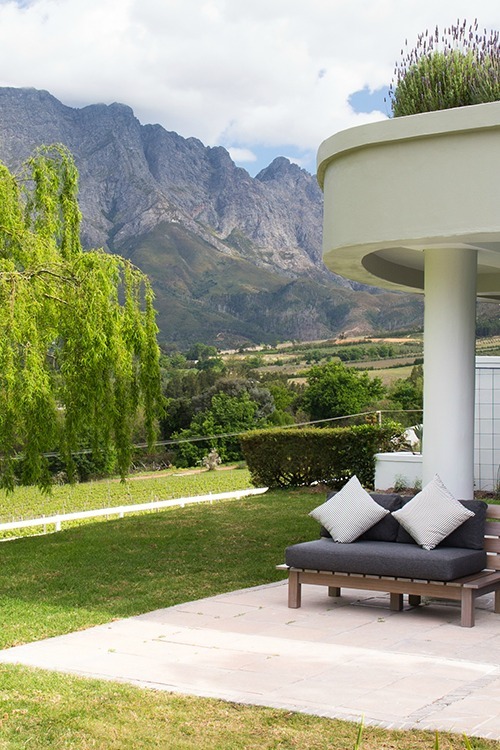 The Mont Rochelle Manor House is a luxury villa you’ll discover in the town of Franschhoek. 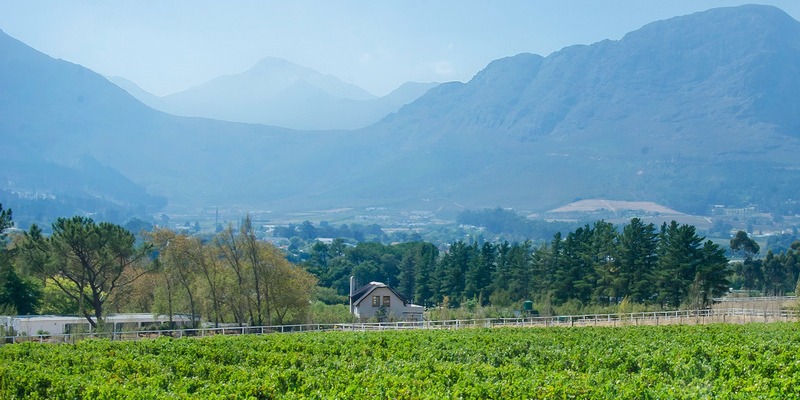 The municipality, famously known as the French Corner, is situated in the Western Cape and deemed as the food and wine capital of South Africa. The exclusive residence is adjacent to the Mont Rochelle Hotel and are both owned by Sir Richard Branson. 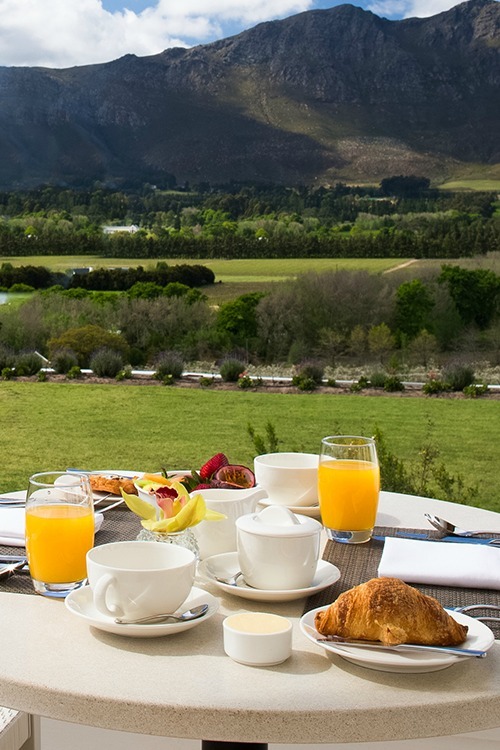 It’s a breathtaking retreat near the mountains where you can enjoy dining and wining in the countryside. Unwinding at Mont Rochelle will lift your spirits. 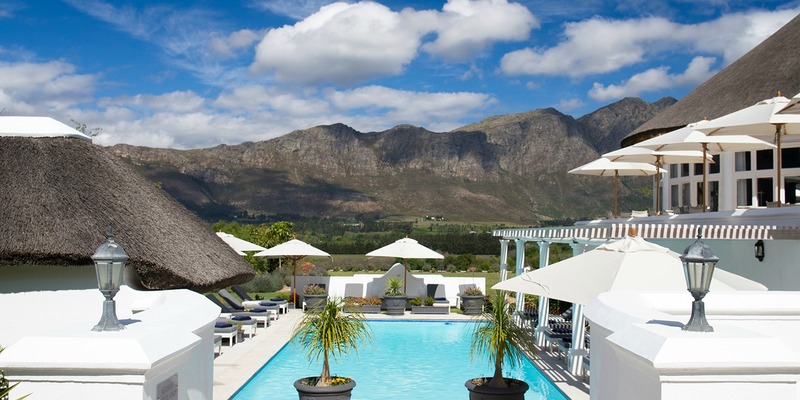 You find yourself at the foot of the picturesque Klein Dassenberg Mountain Range. Have a breath of fresh air and explore the property with 39 hectares of land. Just looking at the magnificent view makes you relax. As it turns out the mountainside sanctuary is less than an hour’s drive from Cape Town. 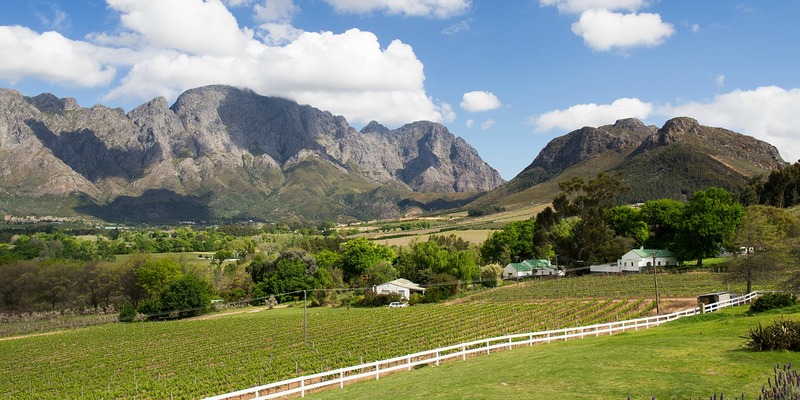 You will also take pleasure in the scenic ride to Franschhoek. You’ll be in awe with the dramatic landscape from the Miko Restaurant terrace at the Mont Rochelle Manor House. You have a splendid vista of the valley and the peaks. 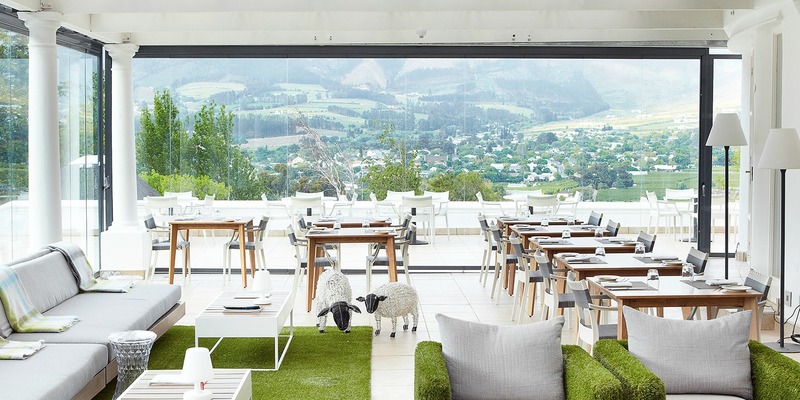 As you select a dish from the menu boasting of international and South African fusion cuisine you can’t help but catch a glimpse of the amazing terrain. It certainly is a phenomenal setting so imagine what it would be like when you are actually there. 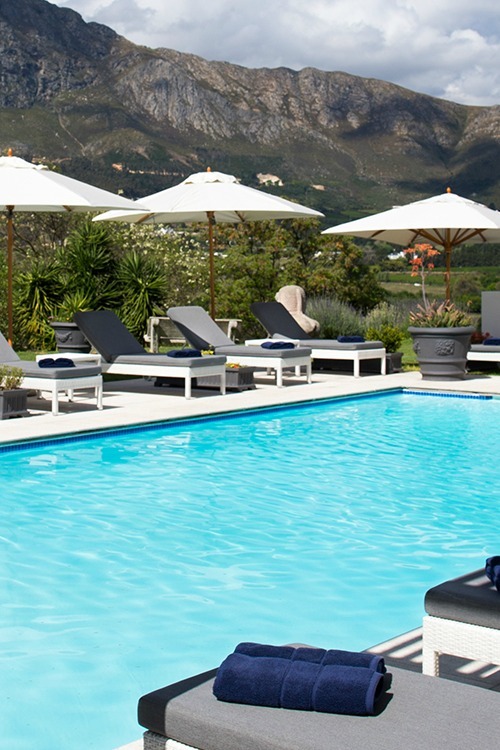 You won’t miss the Franschhoek Mountains at the Mont Rochelle heated outdoor swimming pool. Bar service is available around the pool area. Fresh towels are also at hand if you want to take a dip. When you stop and think about it relaxing at this corner of the Western Cape makes you feel invigorated. You wake up in the morning ready to discover more about this beautiful destination. 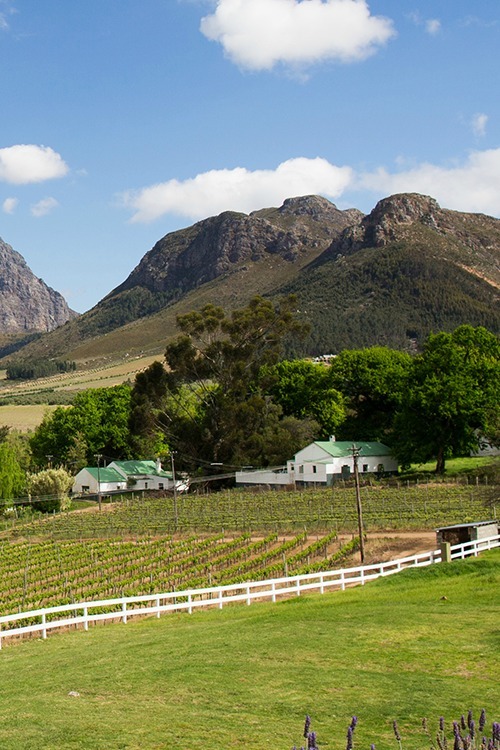 The Franschhoek Wine Valley where Mont Rochelle is located is one of the oldest towns in South Africa. 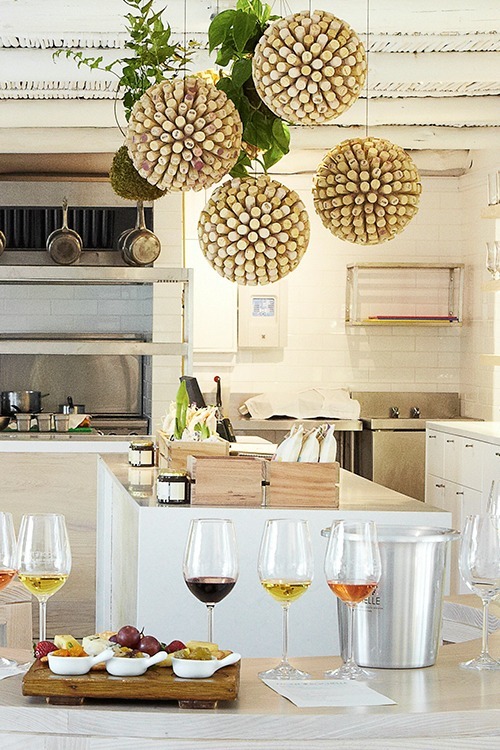 The region highly celebrated for its wine culture. 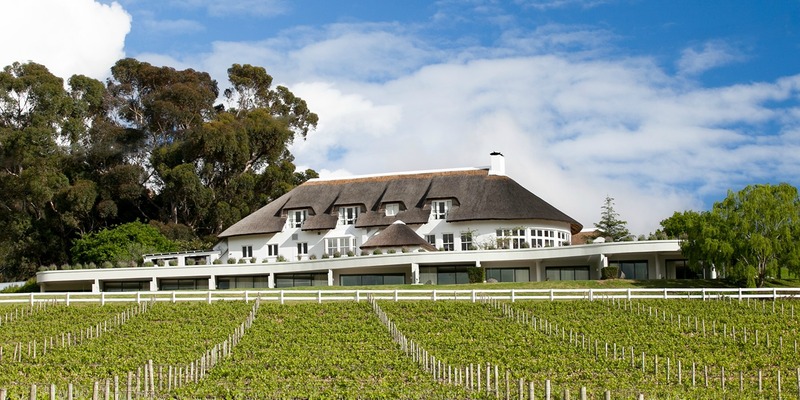 It’s a pristine environment where you’ll uncover rolling vineyards with some of the homesteads of Cape Dutch architecture. Mont Rochelle’s vineyard is positioned between 250 m and 400 m above sea level. Some of the grape varieties cultivated in the area is of Sauvignon Blanc, Chardonnay, Merlot, Shiraz and Cabernet Sauvignon. 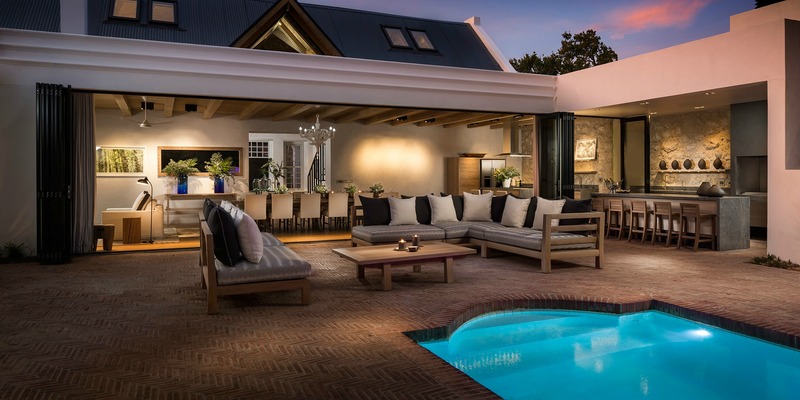 The Mont Rochelle Manor House is a remarkable four-bedroom luxury villa. The private residence is within walking distance to the main hotel building near the Country Kitchen and is adjacent to the winery. It is the perfect vacation home for families and groups and accommodates eight adults. What’s more it includes a bunk room that sleeps up to six kids and is offered for exclusive use all year round. 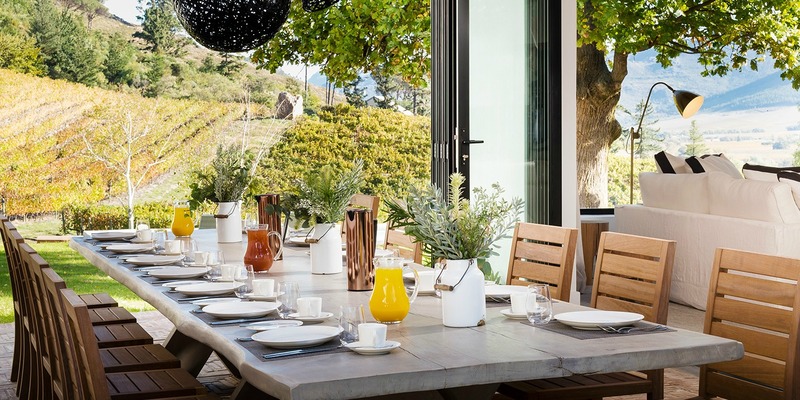 Would you like to have breakfast and set your eyes on the vineyard at Mont Rochelle? You can do as you please. You see the Manor House boasts of a country feel with floor-to-ceiling windows between the kitchen space and dining area. And it includes the services of a chef than can prepare sumptuous meals from the luxury villa’s kitchen. Staying at the Manor House you have the privilege of dining in private. On the topmost floor of the Manor House is where you will come across the lovely Loft Suite. 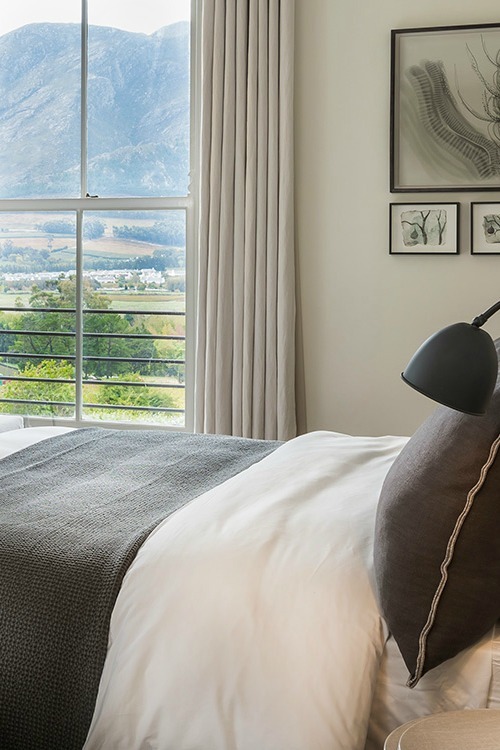 And what you will find irresistible is its French doors that open to a private terrace with a wonderful vista of the Dassenberg Mountains. This lavish room includes a bedroom with a private living area as well as a spacious en suite bathroom plus a shower. Not only that. It also has ample space for your wardrobe. The Viognier Room is one of the suites at the Manor House. 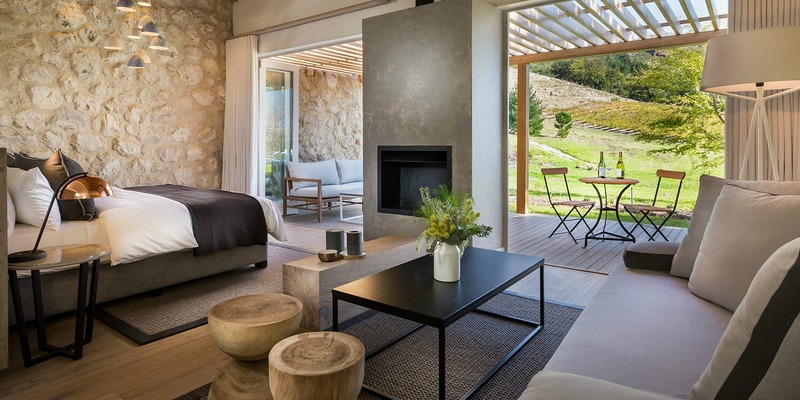 This living space is a detached structure with a private terrace where you can catch sight of the mountains as well as the vineyard. The space consists of a comfortable living area plus a cleverly designed indoor outdoor shower. All four bedrooms at the Manor house include heating and air conditioning, en suite bathrooms with double vanity units plus a bath and shower. Want to know the best part? Most of the living areas feature an open floor plan so it is the ideal setting to foster togetherness while on vacation. 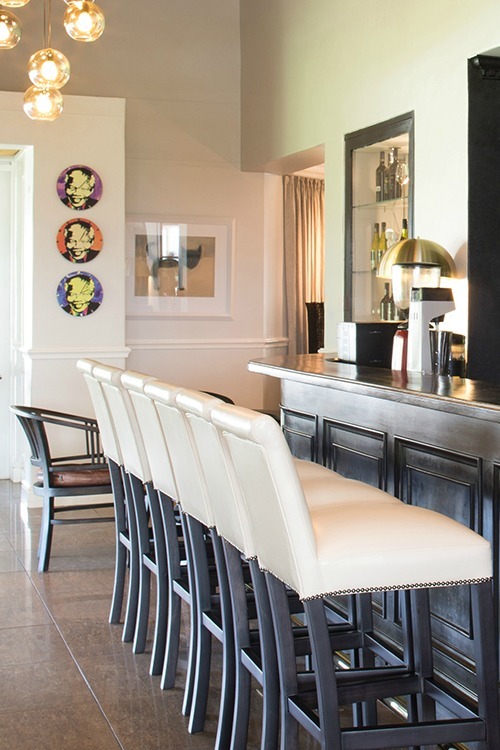 Family and friends can take it easy at the lounge with comfy furnishings in clean lines and soothing subtle shades. The Manor House also has a gym as well as swimming pools that the adults along with the children can also enjoy. 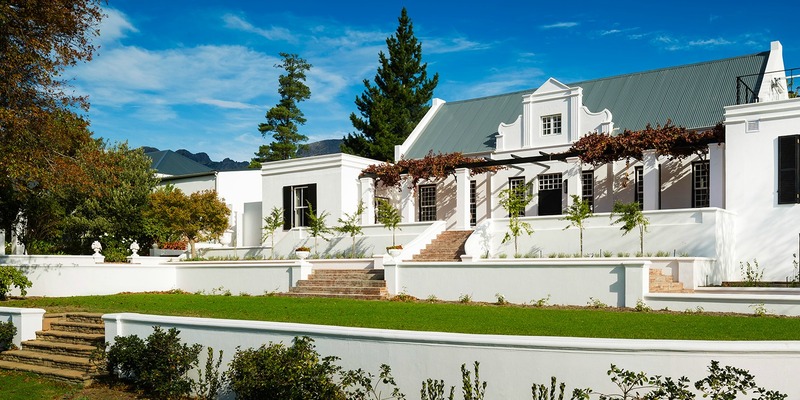 Your experience in Franschhoek will not be complete without exploring Mont Rochelle. You can go around riding a bike and see the incredible views. A hike through the hills, valleys and vineyards as well as the local reserves will do you good. Horseback riding with wine tasting and spa treatments are also offered. 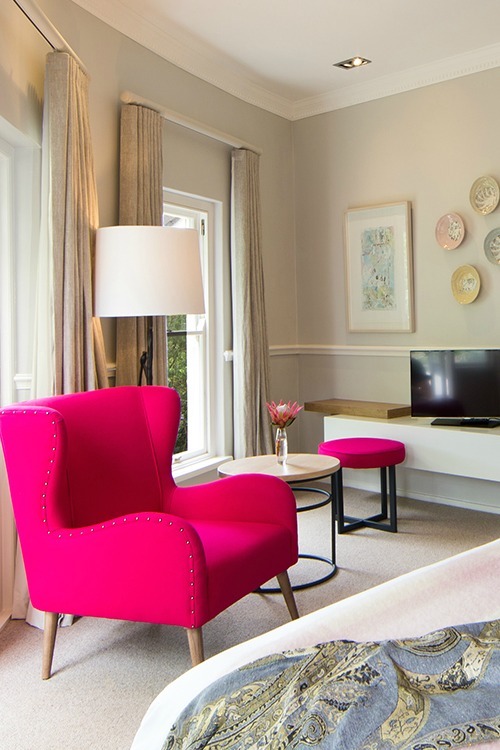 And just like Sir Richard Branson you will certainly plan your next trip to the Western Cape constantly staying at Mont Rochelle.